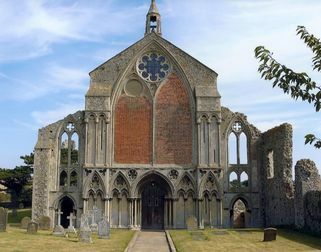 Suffolk Singers last evening in the beautiful acoustic and setting of Binham Priory, Norfolk, quite simply restored the soul. “Songs of Serenity” were sung unaccompanied, with grace, empathy and a perfect blend of their 28 voices. 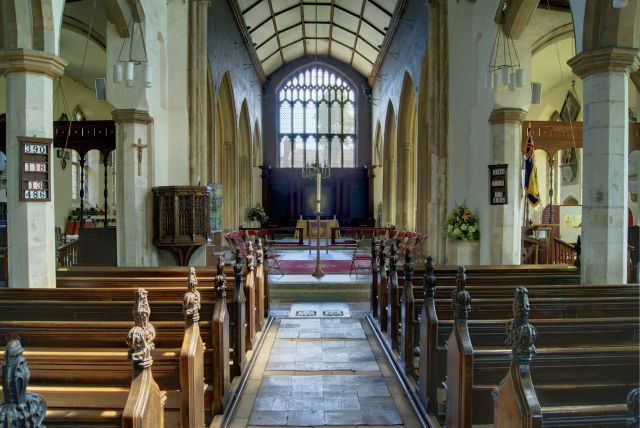 Music Director Claire Weston’s attention to detail and sensitive direction brought the very best from her singers to Binham - a combination of music and place: so uplifting. It was a unique and very special, memorable occasion. Thank you to everyone. Your singing touches the heart both emotionally and physically and that’s rare when listening to a choir. Happened at Binham for me. Once again we joined the largest free one-day event in the UK. The sun shone, the people flooded into Ipswich and long, long queues formed to get into Christchurch Park. We started the proceedings in the Classical Section at the Masonic Hall and were delighted that every seat was taken and folk were queueing into the entrance hall - as the door was wide open we must surely have been heard out in the street! We started with the mesmeric "Dixit Maria" by Hans Hasler but sung our way through 25 minutes of music to conclude with Kirby Shaw's totally upbeat version of Paul Simon's "Bridge over Troubled Water". ​With Blythburgh the previous evening it had been a very busy weekend of music-making but extremely energising for all those involved. In late 2016 we were asked to record for the production company 7Wonder, who produce Tate Britain's Great British Walks for SkyArts. So, on a bright afternoon we travelled to Dedham Vale, to St Mary's church in East Bergholt, near Flatford Mill, the setting for John Constable's The Haywain. John Constable was the subject for the second episode of the Walks programme, featuring Gus Casely-Hayford and Richard E Grant. Mike Reilly and his team were brilliant in getting us ready, and soon we recorded "English Country Gardens" and "Jerusalem", as well as a handful of voxpops with Janis, Peter, and Claire talking about music, Constable, and Suffolk. "What a beautiful sound your choir makes!" "What a wonderful sound you make ... perfect balance." "The singing was AMAZING and we enjoyed visiting the Cathedral in its historic splendour." "The choir is better than amateur, as good as a professional choir". Overheard by a Suffolk Singer post concert in the Ladies’ queue: "Everyone was commenting on it, one lady saying it was 'brilliant' and another 'stunning' and asking that her praise be passed to the rest of the choir. The rest were all very complimentary too!" MAKE A DIFFERENCE - AGAIN! Suffolk Singers and their friends provided a varied programme of easy-listening music to suit all tastes; the packed venue was also treated to music by some of Claire Weston’s young singers from Thomas Mills High School, Framlingham, and The Jam Sandwiches Jazz Group from Woodbridge School. The informal table seating, with a light supper of savoury and sweet refreshments provided the perfect atmosphere to enjoy music and raise funds for this very worthy cause. A fantastic £2,390.62 was raised by this sell-out performance. The price of the workshop includes copies of music for you to take away at the end of the day, expert professional tuition from Claire and her team, tea and coffee throughout the day and our celebrated cakes in the interval between the rehearsal and the performance. 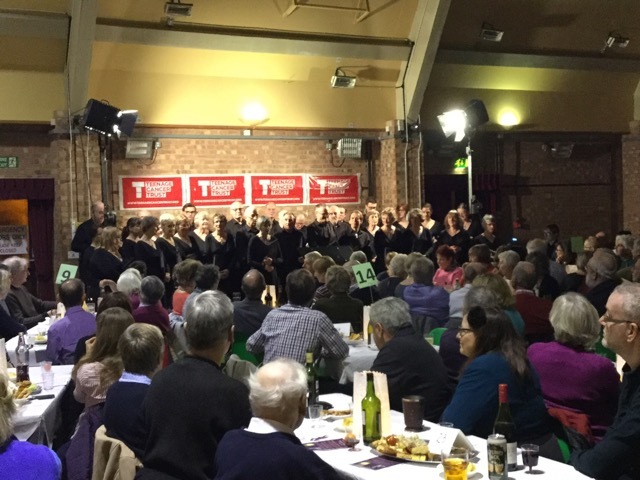 Saturday 1st October saw Debenham Community Centre filled with beautiful music with a fundraising concert performed by the highly acclaimed Suffolk Singers. 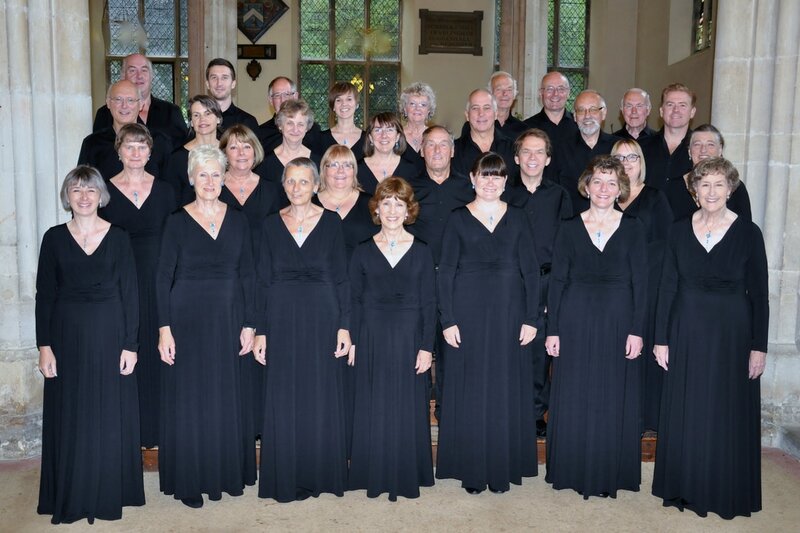 This sociable choir of around 35 accomplished singers chose to support local, independent charity Suffolk Age UK for their latest concert, which was led by their musical director, Claire Weston. The programme included some well-known pieces alongside some lesser known, with works by Elgar, Rutter and Humperdink to name a few. But what you could be sure of was an evening packed with entertainment as this choir, literally sing their socks off! The concert was cabaret style with a charity raffle, cake sale and a pay bar. "The audience were seated in groups around tables; each table was provided with a large plate of snacks and treats, mostly home-made, and provided by the choir. We were able to bring our own drinks. After a short time for chatting and eating, the concert began. Sipping our glasses of wine we listened to classical songs, including works by John Rutter, Moses Hogan and Howard Goodall. 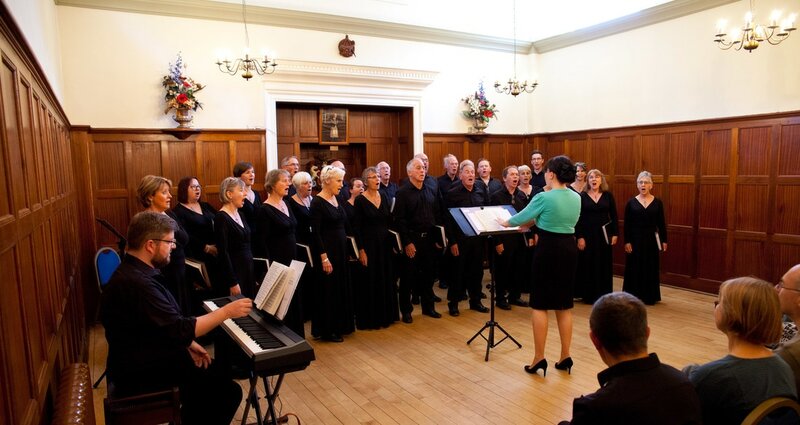 Suffolk Singers were conducted by their musical director, Claire Weston. Right from the start, Claire’s commitment and energy shone through, and the singing was superb. The choice of music brought out the wonderful vocal ranges, and the harmonies were perfect. The choir are obviously hard-working and dedicated and their enthusiasm was evident. ​We were then treated to some beautiful singing by Claire’s Young Singers. Rachel Routledge, a sixth former performed a solo of a Handel piece and amazed the audience with her wonderful voice and confident performance. After the interval, there was a more contemporary feel to the music. Suffolk Singers gave us some wonderful renditions of old favourites such as “Fields of Gold” and “Bridge Over Troubled Water”. John Rutter’s arrangement of “Sing a Song of Sixpence” brought a smile to many faces, while Claire’s Young Singers performance of “You Raise Me Up” brought tears to the eyes. The Blue Notes, a talented, young, jazz group from Thomas Mills School, had our toes tapping while they played pieces by Miles Davies and Wayne Shorter. Claire herself took centre stage for two songs; her heavenly voice was a joy to listen to. The whole evening was musical treat. Whilst the performances were exceptional, there was a relaxed and friendly feel to the whole evening. Well done to all the performers; Gareth Malone is not needed here!" 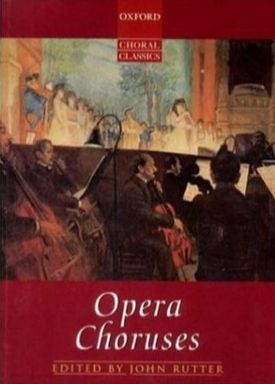 Our 2015 workshop focused on choruses from operas, given that our Director, Claire Weston, was a principal at English National Opera. 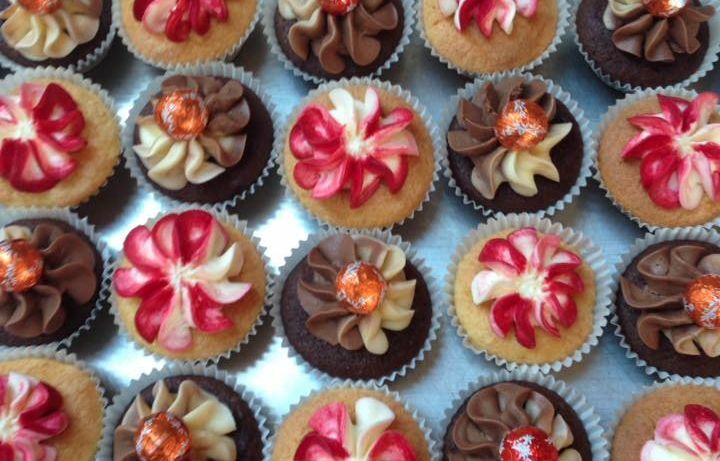 We were very happy to have a stall at this wonderful event, selling our famous cakes and chatting with everyone. 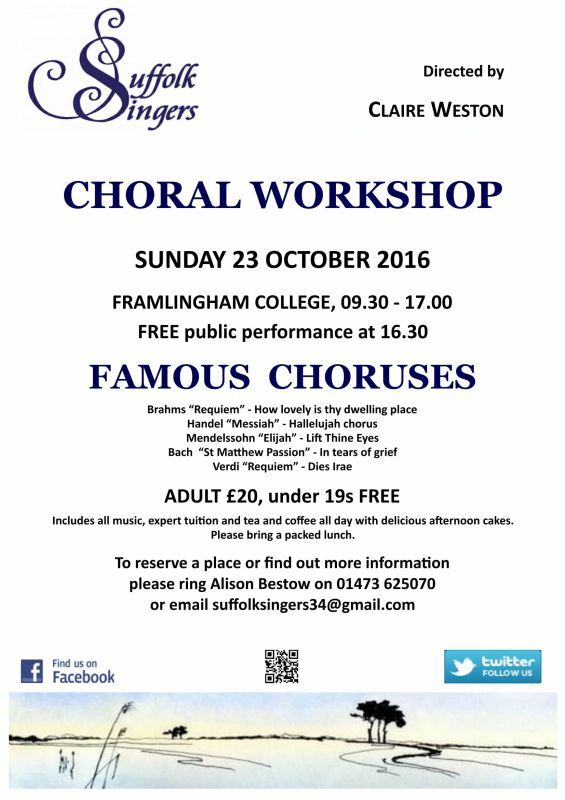 A concert in memory of Suffolk Singers Chairman, Michael Balaam - previously a student at St Olave's School, and a Queen's Chapel chorister. This concert was dedicated to his memory. Music ranging from Anerio, Byrd, and Tallis through to romantic composers Duruflé, Bruckner, Franck and Parry, and by 21st century composers Ola Gjeilo, Howard Goodall, John Hutchings, Morten Lauridsen, Paul Mealor, Eric Whitacre. An evening of seasonal music at the beautiful St Mary's Church in Woodbridge. The choir performed well known carols and traditional classics by Mathias, Bach and Willcocks, and also pieces by local composers, John Hutchings and John Stafford. An opportunity to hear our concert programme for the Llangollen International Musical Eisteddfod, alongside organ solos by Bach and Handel from John Hutchings of Framlingham College. 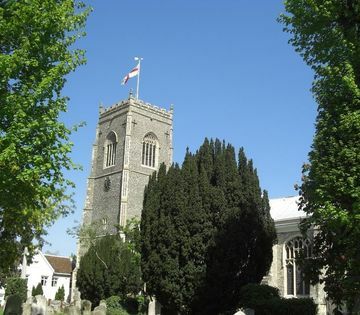 With music by Bruckner, Dubra, Elgar, Finzi, Gjeilo, Lotti, Mendelssohn, Victoria, Stanford as well as Suffolk composers John Hutchings and Sue Wilkins. 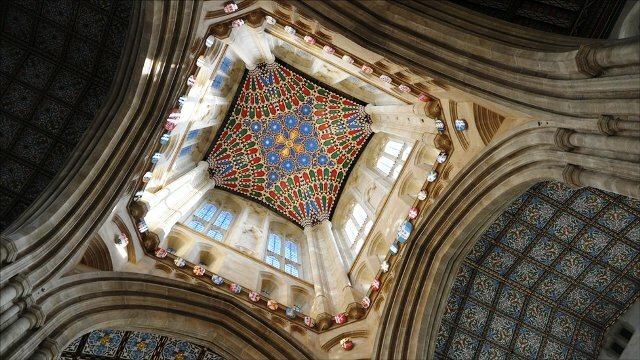 Our annual concert in the magnificent acoustic of the Lady Chapel of Ely Cathedral. ​Overcome those January blues and help raise money for a very worthwhile cause. Suffolk Singers invite you to an evening of wonderful music and delicious food. Rather than the traditional rows of seats, tables will be set out around the room for you and your friends to enjoy savoury canapés and drinks (please bring your own) whilst being serenaded by the choir. As always there will be an eclectic mix of music including a trio of Ave Maria's, traditional folk songs, popular classics and we'll challenge you to 'Name that tune'. This event is in fond memory of Michael Balaam, a long time and much loved member of Suffolk Singers who sadly passed away from cancer in October 2013. 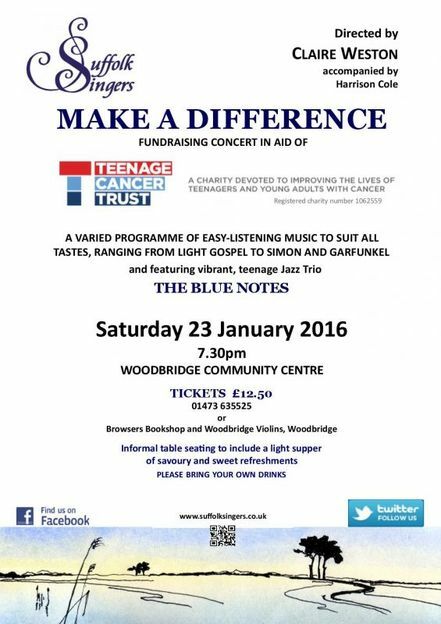 The proceeds of the evening will be donated to the Teenage Cancer Trust and we are very privileged to have Alfie Carpenter performing with us. Whilst studying for a music degree, Alfie was diagnosed with a rare form of leukaemia and he has benefitted from the excellent work and support of the Trust. 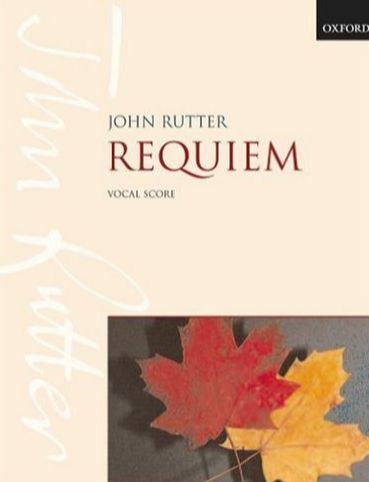 For our 2013 workshop, we focused on John Rutter's exquisite and accomplished Requiem. We have once again selected an eclectic blend of familiar works in fresh arrangements together with several pieces new to the choir repertoire. Amongst items to be performed will be works by Whitacre, Grainger and Elgar together with popular classics, such as A Nightingale Sang in Berkeley Square and In the Mood. As for Sutton, we have once again selected an eclectic blend of familiar works in fresh arrangements together with several pieces new to the choir repertoire. Amongst items to be performed will be works by Whitacre, Grainger and Elgar together with popular classics, such as A Nightingale Sang in Berkeley Square and In the Mood. A return visit to Burgate following last year's very successful concert. After such a long, dreary spell of weather, few things can lift the spirits as surely as a concert of engaging and popular music. We have once again selected an eclectic blend of familiar works in fresh arrangements together with several pieces new to the choir repertoire. Amongst items to be performed will be works by Whitacre, Grainger and Elgar together with popular classics, such as A Nightingale Sang in Berkeley Square and In the Mood. The short tour to County Cork in Ireland. was very much a departure from our usual performance venues. Travelling at the invitation of the West Cork Choral Singers based in Skibbereen for a joint concert, the choir also gave a performance in the Church of Ireland Cathedral of St.Fin Barre’s, a historic church in Cork city with a nationally regarded musical tradition. Fund raising for the trip had been exciting and very successful and, in addition to their choral engagements, the choir sampled many of the social delights and sight-seeing opportunities that this part of Ireland has to offer. ​These were just some of the comments from members of the audience following this lovely concert. Since the choir’s last visit in December 2011 a significant amount of both building and decoration has been accomplished, resulting in a warm, bright and comfortable space, in which a capacity audience enjoyed a wide variety of music both sacred and secular but all appropriate to the season of Easter. Works by Purcell, Victoria, Mendelssohn and Steiner blended happily with more contemporary offerings by Elgar, Grainger and Eric Whitacre. Particular delights were a duet by Roger Quilter, performed by two sopranos from the choir, Carole King and Edith Peck, a rousing arrangement of N’kosi Sikelelel’i Afrika and two further African folk songs and a work written especially for the choir by local composer John Hutchings, featuring Claire, performing with the choir in a setting of Emily Bronte’s poem ‘Moonlight’. The concert reached a lively conclusion with Percy Grainger’s arrangement of Country Garden. Held in the very impressive hall at the Police headquarters, this annual event is organised by and for the retired officers. The hall was laid out with tables each seating about 8 people and we entertained the diners before and after a buffet. The choir was made to feel very welcome and the organisers kindly allowed us to enjoy the buffet with them. The glorious setting of Framlingham College, together with its ever-helpful staff, provided the perfect venue for our third Choral Workshop. The annual event has already gained an enviable reputation among other choirs, schools and those who are less experienced. 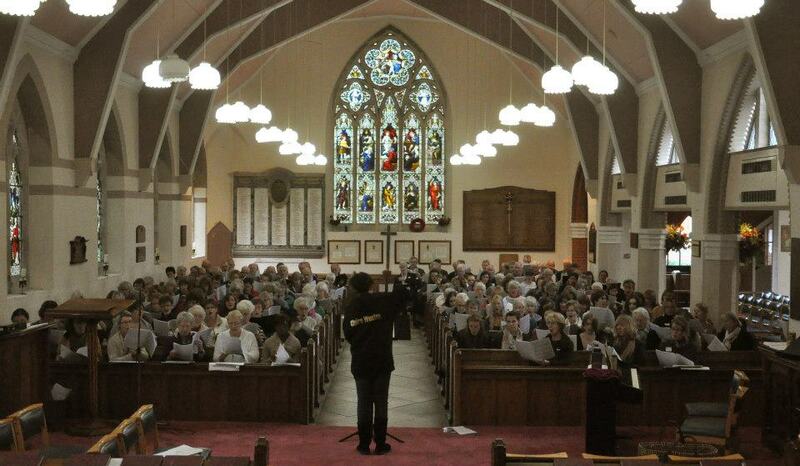 Around 160 people attended from as far afield as Lincoln and Amersham, including members from 38 different choirs. We were able to prepare and subsequently perform 3 works including an anthem by Elgar and, in this Jubilee year, 2 pieces regularly featured at the Coronation - Handel's "Zadok the Priest" and "I was Glad" by Parry. Our very own Claire Weston led the day, ably assisted in the rehearsal sessions by musician and teacher Geoff Lavery and John Hutchings from Framlingham College whose superb organ playing accompanied the performances. We all benefitted from Claire’s expert coaching on vocal techniques and were swept along by her energy and enthusiasm. As a fitting end to a wonderful day's music making, we performed all three works in the College's fine chapel, together with a contribution from Suffolk Singers and an impressive trumpet solo by Woodbridge School student Jack Popay. We were delighted and proud to be awarded the Wightman Challenge Cup in the Choral Section of the 2012 Suffolk Festival of Performing Arts. This was our first experience for about 15 years of performing before an adjudicator and in a "competitive" situation. Of the four sections we entered, we won three and came a close second in the fourth against some excellent opposition, so we were very pleased. Ever onwards and upwards! Female unison start was precise as ensemble singing matched by the T/Bs, difficult start to the piece well achieved. Parts are well balanced and the top part is effortlessly expressed. A neat blended performance. A most effective performance of a wonderful piece! Your ensemble is so precise and the free flowing phrasing is neatly achieved. The intonation is excellent and you move through the dissonance contributing to the effectiveness of the atmosphere of the piece. Diction is of course perfect! Top line was not quite as effective in intonation accuracy at the start. Nevertheless a strong committed performance that was totally convincing. Thank you! Wonderful attack gentleman! Matched by the female phrasing well-shaped. Strong committed singing that balances well throughout the different voice parts. Diction is excellent. Changes of dynamic tempo neatly achieved. Excellent Thank You! Ensemble, shape of phrases, diction, intonation, all precise/effective/wonderful! Thank you! The church was completely full with everyone appearing to really enjoy the concert. James and Claire again performed their solo pieces to rapturous applause and comments from the audience confirmed that the choir's performance of sections of the programme reached new heights. Our friends from Sutton provided some lovely nibbles during the interval and again made us very welcome. It was a privilege to be part of this gorgeous event. "It's a joy to see such quality and enthusiasm, and the obvious delight which Claire Weston has in her music makes it even more special." This is just one of many highly complimentary messages we have received since the concert. We had great fun performing a very mixed programme from Sacred to Swing and were delighted to feature James Symington as our guest soloist playing his trumpet. 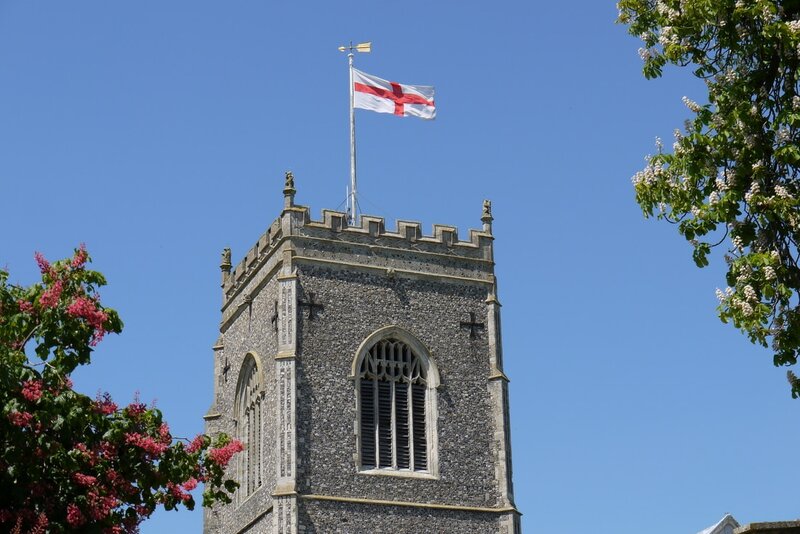 The Friends of Burgate Church made us most welcome with the Pimms and Canapes during the interval helping to make this a very special and memorable evening. Fantastic concert! An excellent and appreciative audience obviously enjoyed the programme and helped raise funds for the Friends of St Michael's. It is very difficult to describe the emotions when the choir sings beautiful pieces, as well as it has ever performed them, in such an idyllic acoustic setting. A excellent recording was made of the performance which has captured a few of the memories. 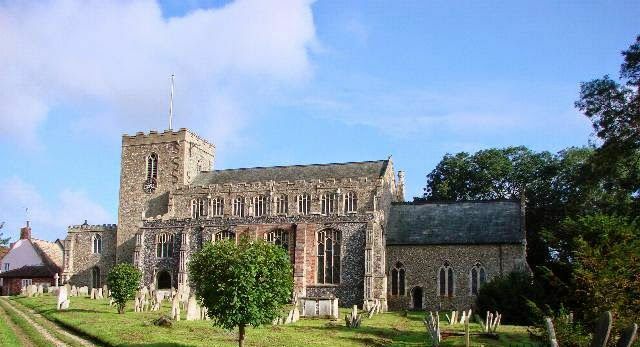 Wickham Market church was full to bursting with extra chairs being brought in from all directions. Singing Christmas music always brings emotions to the surface but this evening was extra special. The incredibly moving 'Balaam Cycle', composed by John Hutchings specifically for the choir using words selected by Michael Balaam, was premiered to wide acclaim. This concert will live long in the memories of all who took part and, going by the many messages of generous support, by many in the audience. The church was also delighted with the considerable sum of money raised for its new extension. All 'round, a great success! Our second choral workshop was a spectacular success! 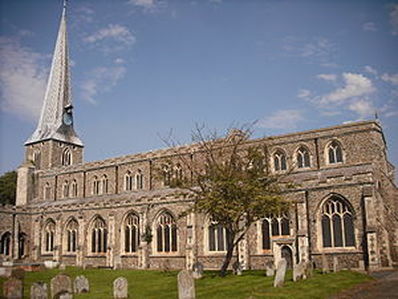 ​Around 120 came from as far afield as Bedford, Cambridge and Norwich to rehearse and perform Faure’s glorious Requiem in St Michael's Framlingham. Although many were members of local choirs, a welcome number were new to choral singing and it was especially pleasing to be able to involve participants from several schools. The workshop and rehearsals were led by John Hutchings from Framlingham College, who also accompanied the performance; Geoff Lavery, formerly music director at Ipswich School; and our Director of Music Claire Weston, whose energy and charismatic leadership was truly inspirational. An audience of friends, families and visitors numbering over 70 were able to enjoy the fruits of the choir’s efforts at a performance of the whole work. "Brilliant! Like having a singing lesson! Dynamic!" "Very enjoyable and an extremely refreshing approach to rehearsal + lots of technical help"
"Excellent day.....It was a pleasure to meet so many like-minded people. Thank you to everyone who organised it and helped the day run so smoothly"
"Even better than last year - and that was brilliant!" "Thoroughly enjoyed it. It is so good to be led with such energy and enthusiasm. Thank you"
"Hard work but loved it"
"An excellent workshop and brilliant tea!" The people of Sutton made us very welcome again and we were delighted that the concert raised much needed funds for their extension project. The programme for this event included some wonderfully evocative sacred music which made full use of the glorious acoustics of the Lady Chapel. The lunch time concert was very well attended and we were fortunate in having friends of the choir present to record the performance. We hope to make part or all of the recording available in due course. The Friends of St Michael's asked us to present a programme of sacred Easter music to help raise funds for the church. The large and very appreciative audience helped make this a particularly special evening with the choir performing to the highest standard it has yet achieved. It is hoped that we will be singing in St Michael's on a more regular basis. The concert also included the first performance of the Antiphons of St Hildegard of Bingen by John Hutchings, a set of pieces we now perform regularly! This concert included a wide variety of seasonal favourites as well less well-known pieces. This is the first year that we have attempted William Mathias' 'A Babe is Born' - a truely stunning and rewarding piece to perform and, we hope to listen to. We also sang 'O Magnum Mysterium' by Morten Lauridsen, a highly regarded contemporary American composer. A hugely enjoyable concert for all involved. This was our first choral workshop! The choir organised a very successful event, attracting over 50 singers from a very wide area, to learn and perform Haydn's 'Little Organ Mass'. ​Universally thought to be an excellent social and stimulating day. 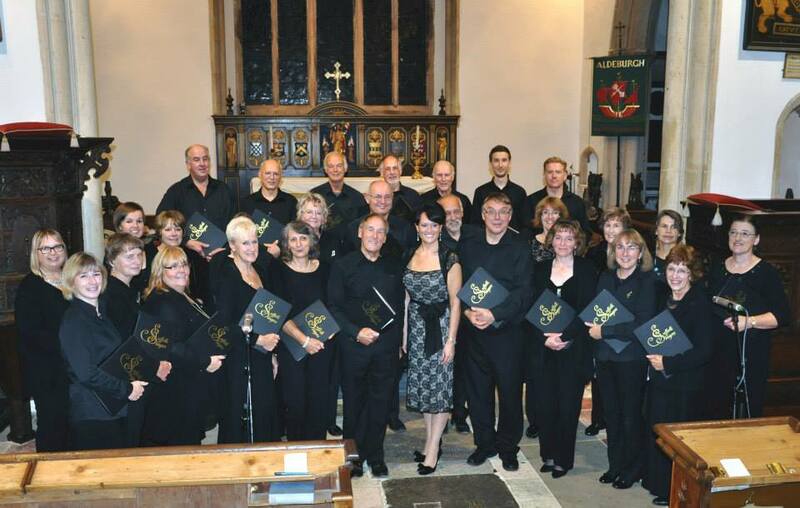 A concert of folk songs, spirituals and light summer music in aid of St Elizabeth's Hospice. Concert of light music in aid of Royal British Legion. A concert to help raise funds for a new facilities area at the church. Our eagerly awaited return to Ely Cathedral Lady Chapel for a lunchtime concert of music for the Easter period. This was generally felt to be the best standard of performance that the choir has ever achieved. A huge success and very enjoyable for all. 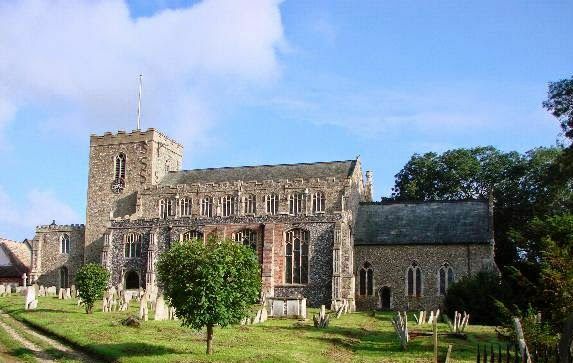 We hadn't performed in St Mary Magdelene, Debenham for about 10 years so we were looking forward to this lovely venue again. Music for the Lenten and Easter period is particularly rewarding to perform and our programme included the chorales from Bach's St Matthew Passion as well as other beautiful sacred pieces. 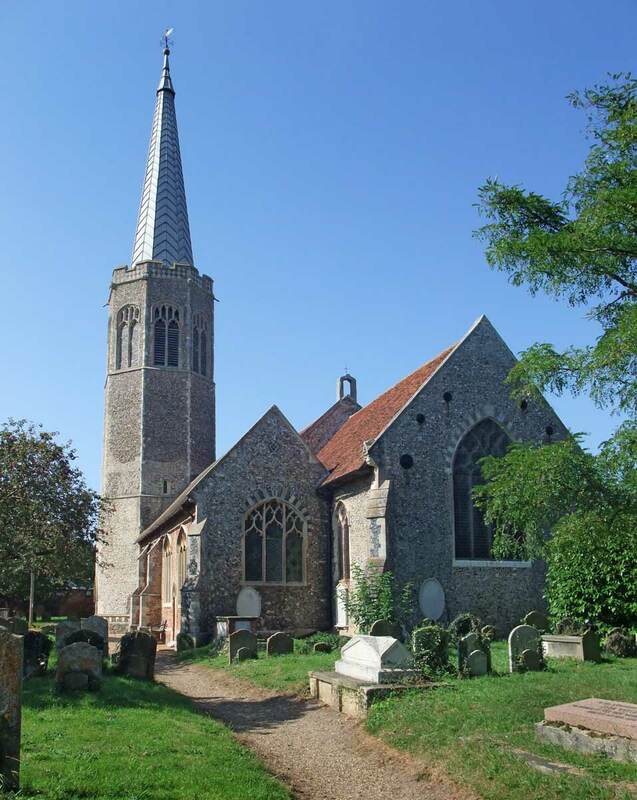 We returned to St Mary’s Church Woodbridge for our Christmas concert. The money raised enabled us to make a significant donation to the charity “Sing for Your Heart”. The beautiful surroundings of this world-renowned venue provided a special atmosphere for an evening to start the festive season. A large audience enthusiastically received the programme of traditional and contemporary pieces and we hope to repeat the evening next year. This concert was also special for us as it was the first with Claire Weston as our new Musical Director. 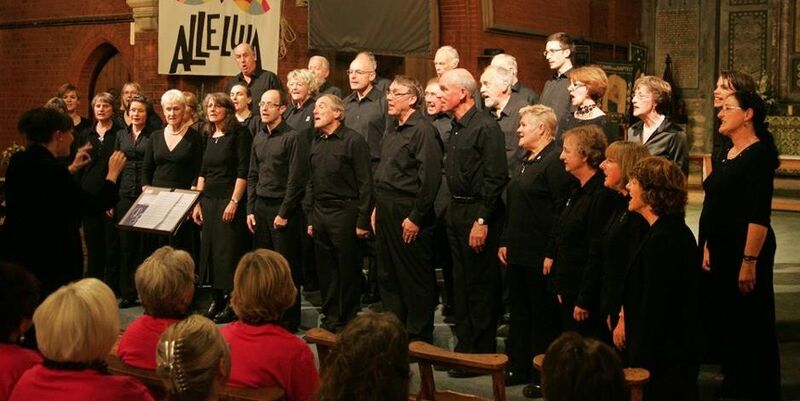 We held a Summer Concert featuring a wide variety of secular music in St Mary’s Church, Otley. This beautiful church has been the “spiritual home” of the choir since we began in 1993. The concert was very well attended and raised much needed funds for the Church Preservation Trust. 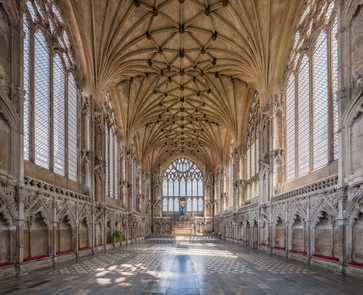 The lunchtime performance in Ely Cathedral Lady Chapel of a selection from our Easter material has become an eagerly awaited annual event. This was again well attended with very complimentary remarks being received from both the Cathedral staff and audience which included members of a visiting choir. The inspiring programme made full use of the wonderful acoustics. The main piece was the seldom performed 'The Seven Last Words From The Cross' by Heinrich Schutz and featured five of the choir members as soloists. This concert was to raise money for Ronald McDonald House and CLIMB two charities supporting families with children in hospital and suffering from metabolic diseases. We performed a programme of folk songs, spirituals and other songs and melodies. We performed in the Lady Chapel of Ely Cathedral as part of their lunchtime concerts. This was a wonderful experience and we hope to make it an annual event. 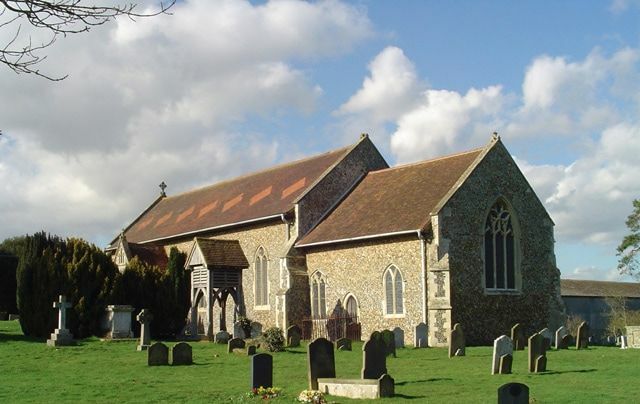 Our Easter concert was held in the beautiful church of St Bartholomew in Orford. 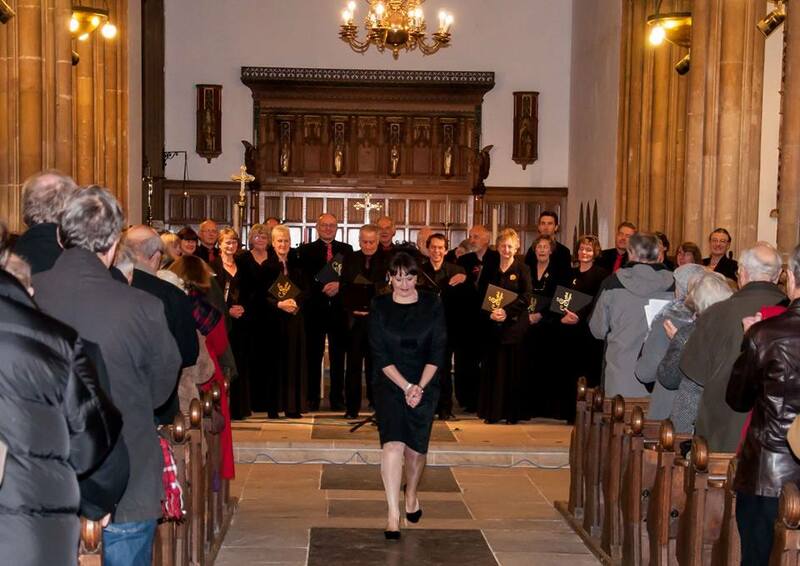 For this concert we were very privileged to have Laura Wright joining us as guest soprano. 7.30pm St Andrew’s Church, Rushmere.